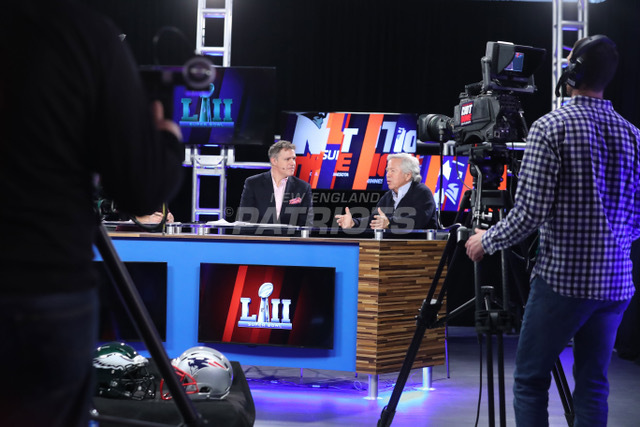 The 52nd Super Bowl was hosted in Minnesota and Local 490 rose to the challenge and supplied crew for the union commercials by Hyundai, Dodge Ram trucks, for the Tonight show with Jimmy Fallon and for a special on-location shoot of the Patriot's Not Done Network. The Hyundai commercial was very large 2 day shoot in the Minneapolis convention center. It was shot during the NFL Experience. 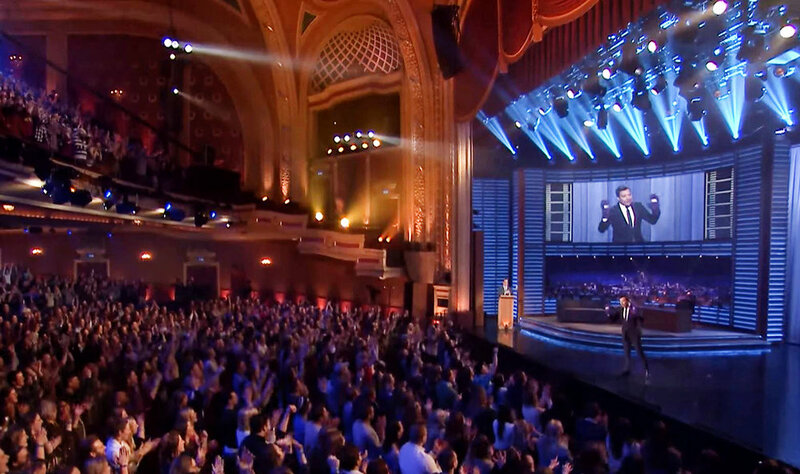 The set was designed by LA production designer Jason Dawes and made to look as it was part of the NFL traveling show. The call sheet listed over 150+ crew, talent and production. 490 supplied, Grips, Electrics, Make Up, Hair, Decorator, Props, Set Dressers, Carpenters, Wardrobe and POCs for the 2 day shoot. The Hope Detector, directed by John X. Carey, Produced by Anonymous Content. Client Hyundai. The Hyundai commercial was a candid camera theme. The real people did not know they were being filmed until the cancer survivors and their family, revealed that by buying Hyundai they have supported research for a cure. Many boxes of tissue were supplied by our art art dept. In addition to crew, these commercials, spent money all over town at vendors such as Home Depot, Target, Northwestern Glass, Walmart, Accent Store Fixtures, Tasty Lighting, Cinemechanics, Hilton Hotel, Tonka Glass, Brand Ink and many others. Dodge Ram Trucks shot a union Super Bowl commercial in MN in the weeks leading up to the big event. The commercial was a Viking theme. It was shot in Minnesota and Iceland. 490 had union Props, Set Dressers, Grips & Electrics, Medics, Locations, Script supervisor and Wardrobe on set. Director Joe Pytka, Agency Goodby Silverstien, Client Dodge Trucks. During Super Bowl week, 490 Gaffer Mike Handley and his union crew were working on the Patriots TV show, called Not Done Network. The gig was not union, however Brother Handley asked the shows producer if the production could pay union benefits. The production agreed and benefits were paid for the union positions. Local 490 crew also worked on Local 13 jobs at the Northrop theater, the Orpheum theater Jimmy Fallon's tonight show and else where in town. Local 490 would like to thank the producers of all the Super Bowl commercials, the Not Done Network, Jimmy Fallon's Tonight Show and other NFL gigs for taking care of our workers and paying union health care, workers compensation and annuity fund benefits. You are taking care of the workers during and after the shoot! 490 Hosts All Crew Party! 490 Congrats Diggins on Gold!